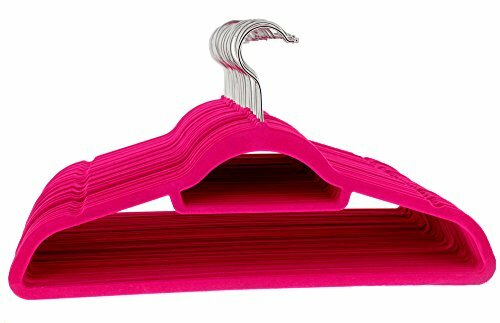 The Juvale hangers are smooth and soft to the touch, featuring notched shoulders to prevent slipping with their ultra thin space saving design with accessory bar allows you to maximize your closet space. Great for sweaters, blouses, shirts, scarves, and so much more! Hangers measure 17.75 x 9.5 x 0.2. Ultra thin space saving design with accessory bar allows you to maximize your closet space. Great for sweaters, blouses, shirts, scarves, and so much more! Perfect gift for Christmas, a birthday, holiday gift, or a simple just because gift.